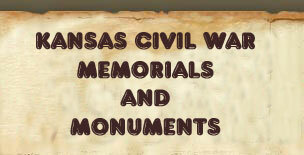 Description: A series of plaques are mounted next to the City Hall. 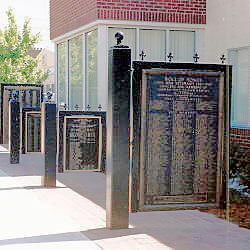 Each plaque honors veterans who lived in Sabetha. 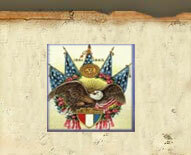 The GAR plaque reads: "Roll Of Honor ~ Civil War Veterans 1861-1865 ~ Officers And Members Of ~ Sabetha Post 175 G.A.R. Kansas ----~ Ira F. Collins ~ Department Commander Of Kansas 1890 ~ ---- ~ Post Commanders ~ (names) ~ Post Members ~ (names) ~ ---- ~ This Tablet Presented To Sabetha Post No. 175 G.A.R. By ~ Mrs. Mary Massey Terwilliger ~ The Loving Daughter Of Comrade Thompson W. Massey". It has not been determined where this plaque was originally installed. Description: A 3-Inch Ordnance Rifle is mounted on a restored wooden carriage. 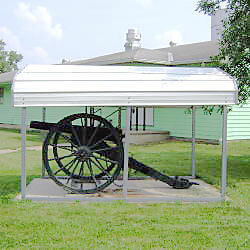 This cannon was originally in the City Cemetery (north of town). It was remounted on a wooden carriage and moved to the American Legion Earle W Taylor Post Number 21 hall in about 2005. 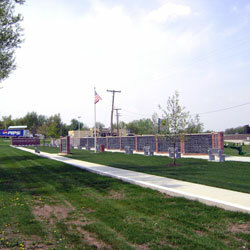 Description: A memorial plaza with a flagpole includes a long wall covered with granite name plaques of county veterans. 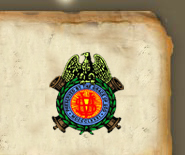 The main inscription reads: "With Freedom and Justice for All". Concrete benches have inscriptions of: "Lest We Forget", "Be not afraid - for there are those ~ who will sacrifice for our country", "Remember, Freedom is not free", "Honoring all who served", "Dedicated to all who served the United ~ States of America in peace and war", "You never lived till you almost died ~ the protected will never know", "Dedicated to the past present & Future generations ~ of proud men & women who serve our country ~ God Bless America".